Hi, this is first new Marshmallow update LeEco Le Max 2 EUI 5.8.015S Stock Rom and here is an easy and safe tutorial for install new Marshmallow update LeEco Le Max 2 EUI 5.8.015S Stable Stock Rom. 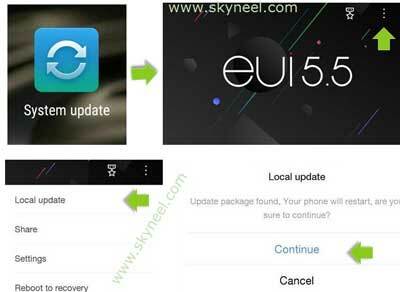 You can fix some issue by this update LeEco Le Max 2 EUI 5.8.015S Stable Stock Rom. This is an Android 6.0 Marshmallow update, it is not Lollipop update with some fixes. New added App Lock feature with fingerprint scanner. Added music app with new look and more features. New added control WI-FI usage of individual apps. Phone manager is more powerfull and new Power Saving Management for optimise your battery usage. Step 1: Download LeEco Le Max 2 EUI 5.8.015S file and rename this zip file as “update.zip” like S2_X526-OS-OP-IIXOSOP5801506286S-5.8.015S to New Marshmallow update.zip. Step 4: Now Click on continue, your phone is going to reboot in recovery mode and Rom flashing process start. Don’t interrupt this process, it might to take 4-6 minutes for your phone to first boot on EUI 5.8.015S. After new Marshmallow update LeEco Le Max 2 EUI 5.8.015S Stock Rom, you can root your phone because root allows you to use a maximum of your phone without any restrictions. After root you will install custom apps, Rom and custom setting in your phone. But first read Root Advantage and Disadvantage, then here is root LeEco Le Max 2 guide. I hope you like this new Marshmallow update LeEco Le Max 2 EUI 5.8.015S Stock Rom installation guide from which you will be able to easily install or new Marshmallow update LeEco Le Max 2 EUI 5.8.015S Stock Rom without any extra efforts. If feel any problem in this guide then please use comment box. Thanks to all.